Universal dishwasher racks for all commercial dishwashers. 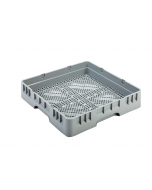 Amerbox dishwasher baskets are designed to be the all-on-one solution for hygienic washing, transport and storage of plates and crockery. 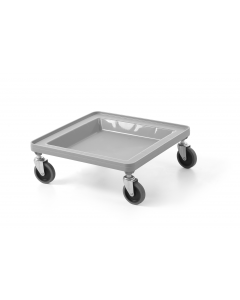 Combine with Amerbox covers and transport bases for a completely hygienic wash, transport and store solution all in one. 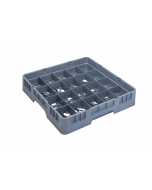 Hygienic storage and transport thanks to top sealing cover and sealing base dolly to prevent ingress of bacteria, dirty hands, bugs and rodents. The Buzz Catering Star Buy product range is our own brand collection, designed specifically to provide catering establishments with a range of high quality products at unbeatable prices. Our promise of low prices and commitment to the finest product quality is achieved by sourcing products from a range of specialist catering manufacturers around the globe, many of which we directly import to the UK. Combined with our low-price promise on all catering supplies, this means that Buzz Catering Star Buy product range is the unequivocal choice for our corporate clients as well as a proving popular with independent customers, restaurants, bars, hotels and caterers alike.